April 9, 2019 – We did it again. Captain Larry targeted a different area on the Continental Shelf in the Gulf Stream with the same results as last week. The boxes were over flowing with all the same species of fish being caught. It’s some of the best fishing Larry has ever seen. He will be Captaining the 12 hour Gulf Stream trips every Saturday thru the 2019 season. The first 22 hour Gulf Stream trip starts Friday, April 19 at 9 PM with Captain Greg on the Super Voyager III. March 26, 2019 – Captain Larry took the Continental Shelf out to the Gulf Stream Saturday. The fishing was spectacular … one of the best fishing trips in a long time. A good mix of fish were caught including Red B-Liner Snappers, Grunts, Rudderfish, Porgies, Triggerfish, Amberjacks. Approximately 10 Genuine American Red Snapper had to be released as season is currently closed. All the boxes were full when we docked keeping the crew busy cleaning fish for several hours. Running 12-13 Gulf Stream trips every Tuesday and Saturday at 7 AM. Call today to book. 1/2 Day Continental Shelf and Super Voyager III are catching plenty of Black Sea Bass with some Porgies and small Shark mixed in. 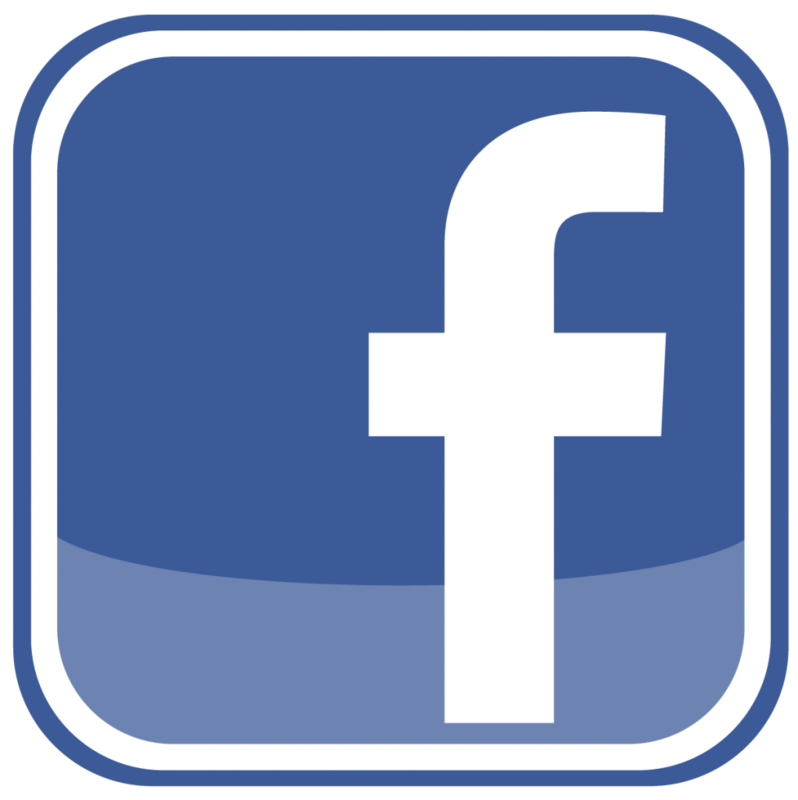 March 14, 2019 – Captain Larry has been out on the Continental Shelf the last 2 weeks on 1/2 day fishing charters. Plenty of Black Sea Bass are being caught with a few Porgies and small Sharks mixed in. Gulf Stream fishing starts this Saturday, March 16. Captain Billy was out on the small fishing charter last weekend at the Gulf Stream. Fishing was excellent. The usual fish were caught … Red B-Liner Snappers, Grunts, Triggerfish, Porgies, Large Sea Bass, Amberjack and Rudderfish. The water will start warming up in the next week or two and the fishing is only going to improve. The private sport fishing charters are catching small Bonita while trolling 3 – 5 miles out. The blue water trolling will fire up next month in April for Wahoo, Dolphin and Blackfin Tuna. Captain Larry will be on the 12 Hour Gulf Stream trips every Saturday throughout the Spring. The overnight trips will start in April. October 17, 2018 – Offshore Gulf Stream bottom fishing has been spectacular the last 3 weeks. All the trips have loaded up with good fish. We will be running 12 hour trips on Tuesdays and Saturdays until the end of November. 22 hour trips are running Fridays, leaving the dock at 9 PM, on October 19 and November 2 to round out the 2018 season. Come down and fill your freezer for the winter with great eating fish. October 2, 2018 – We survived Hurricane Florence and the boats have been running. Captain Greg was out on the Super Voyager Saturday on the 12 hour Gulf Stream trip, fishing was nothing less than spectacular. All the boxes were full with the usual fish … Red B-Liner Snappers, Grunts, Triggerfish, big Porgies, Hog Snapper, African Pompano, and several big Grouper. Captain Billy had an overnight charter Saturday night on the Continental Shelf. The fishing club was from Baltimore, Maryland and they had the same results. All the boxes were full of fish. Captain Justin was out on the Voyager offshore trolling 25 miles out. Limited out on King Mackerel and caught big Bonita Tuna. 1/2 day and 3/4 day trips outside the inlet produced Spanish Mackerel, Barracuda and Sharks. 1/2 day party boat fishing on the Continental Shelf and Super Voyager. The water seems to be clearing up off the beach after the storm. Plenty of Black Sea Bass, small Porgies and Sharks are being caught. August 7, 2018 – The rain finally stopped and Capt Greg was able to take the Super Voyager III out Saturday. The seas were calm and fishing was spectacular. He filled all the boxes with fish. Offshore trolling for King Mackerel has been a big hit. Out on the blue water, the offshore trolling with rigged ballyhoo was excellent for Wahoo and Mahi Dolphin. 1/2 Day and 3/4 Day charters are catching King Mackerel, Spanish Mackerel, Barracuda and Sharks. 1/2 Day party boat fishing on Continental Shelf had a load of fish. Plenty of Black Sea Bass, Porgies and small Sharks are being caught. July 5, 2018 – Calm seas in the gulf stream on Saturdays trip. Captain Greg had the Super Voyager out on an over night trip that filled all 6 fish boxes. The usual fish were caught … Vermillion Snapper, Triggerfish, Grunts, Porgies, Amberjack, several big Grouper, King Mackerel and Dolphin off the drift lines. With the ocean being so calm, the boats were able to stay on the fish for 2 hours at at time. Captain Larry had the Continental Shelf out on the 12 hour with the same results. All 3 boxes were full of fish. It seems the Gulf Stream bottom fishing has been consistently excellent the last few weeks. The charter boat Voyager with Captain Justin had excellent offshore trolling with his limit of King Mackerel, Bonita Tuna, Amberjack and Cobia. The 1/2 day and 3/4 day sport fishing charters produced King Mackerel, Spanish Mackerel, Barracuda and Black Tip Sharks. The party boat 1/2 day fishing on Continental Shelf and Super Voyager catching Black Sea Bass, Porgies and Atlantic Sharpnose Sharks. The dolphin cruises have been seeing lots of dolphin right outside the Little River Inlet. June 18, 2018 – In spite of the East wind on Saturdays overnight trip on the Super Voyager III with Captain Greg, they had a terrific trip. All 3 boxes were full with the usual Red B-Liner Snappers, Triggerfish, Grunts, Porgies, Cobia, Amberjack, Rudderfish, and Gag and Scamp Grouper. Several Mahi Dolphin and King Mackerel were caught on the drift lines. Captain Larry ran the 12 hour trip on the Continental Shelf with a good mix of fish and full boxes at the end of the day. 12 Hour trips depart every Tuesday and Saturday at 7 AM. The next over night trip departs Friday, June 29th at 9PM. 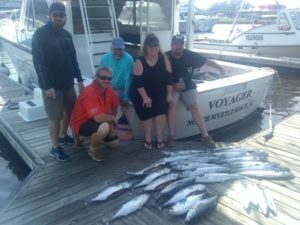 Sport Fishing Charters on the Voyager with Captain Justin crushed the King Mackerel over the weekend with Bonita Tuna and Mahi Dolphin mixed in. 1/2 Day and 3/4 Day Fishing Charters are catching Spanish Mackerel, Barracuda, Cobia and Sharks. 1/2 Day party boat fishing on the Starship and Continental Shelf has been very consistent with catches of Black Sea Bass, Pig Fish, Porgies and Sharks. May 30, 2018 – Captain Greg ran the Super Voyager III on an overnight trip this past weekend. All four boxes were completely full upon arrival at the docks. The limit of Red B-Liner Snappers was reached. 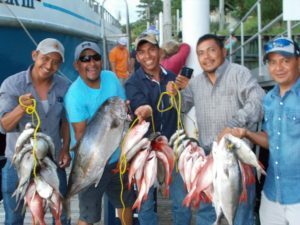 They also caught Triggerfish, Grunts, Porgies, Cobia, Amberjack, Rudderfish, and many many Grouper, both Gag and Scamp. Weather offshore was fabulous. Captain Larry ran the Continental Shelf Saturday on the 12 hour trip and had the same success. Plenty of Red B-Liner Snappers and everything else. The big catch of the day was a 50′ Cobia. Captain Justin was out on the Voyager trolling offshore and had a great catch of King Mackerel, Bonita Tuna, and a few Mahi’s mixed in. 1/2 day and 3/4 day fishing charters outside the inlet are producing plenty of Spanish Mackerel and small Sharks. Cobia are being caught around the wrecks. April 30, 2018 – Captain Larry has fished the Gulf Stream the last two weekends on the Super Voyager with great success. They crushed them Saturday. The boxes were full of Red B-Liner Snappers, Grunts, Triggerfish, Big Porgies, Rudderfish, Large Sea Bass and Amberjacks. Grouper season opens tomorrow, May 1st. Drift lines are starting to catch King Mackerel and Mahi Dolphin. The offshore private sport fishing charters out at the blue water trolling … Wahoo, Mahi Dolphin and Black Fin Tuna have been biting very well. Thew 1/2 day and 3/4 charters have been catching Spanish Mackerels, Bonita Tuna and Sharks. The 1/2 Day Party Boat Fishing on Super Voyager and Starship have been catching plenty of Black Sea Bass, Porgies and Shark.